Build your own little world. When it came out for iOS devices last month, 505 Games' Terraria left quite a mark, combining the Minecraft-like antics of creating your own world with a clever 16-bit style presentation, akin to Genesis and SNES side-scrolling games of old. We reviewed it shortly following its release and found it to be a likable adventure. Still, that left a few Android subscribers wondering, "When will we get a turn?" How about now? 505 Games announced that Terraria is available on Google Play, with all its open sandbox gameplay elements intact. In addition, the company included a pair of exclusive features for this particular version, including a lovable Android robot that can join the player on his or her adventure, as well as Game Services leaderboards and Achievements, including Facebook integration. 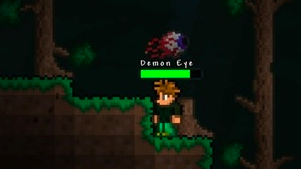 Terraria is free to download, but you'll need to pay $4.99 to unlock the full game.